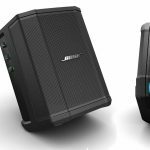 The JBL Link 10 portable speaker caught our eye for numerous reasons. 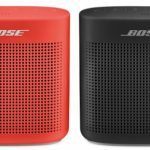 For one, it looks like they’ve continued their mantra of keeping up with the latest technology and making a speaker with it, and today we’ve heard of their series of new portable speakers released with one piece of tech in mind: voice activation. Is voice activated technology really the future of consumer electronics? So far, it’s shown some great response from everybody with the dominance of Echo and Home. Many seem to think it really is the future. Others are perhaps not on board yet. We feel its just a matter of time and the main question here is — why not? If you grab a device that does just more than voice control, you can always just not use that feature. However, in our case today, is a product or in particular a speaker, really worth it if you aren’t using it’s voice activation tech? Let’s see. The first and foremost important feature of this product is the fact that you can manage it entirely with Google Home. 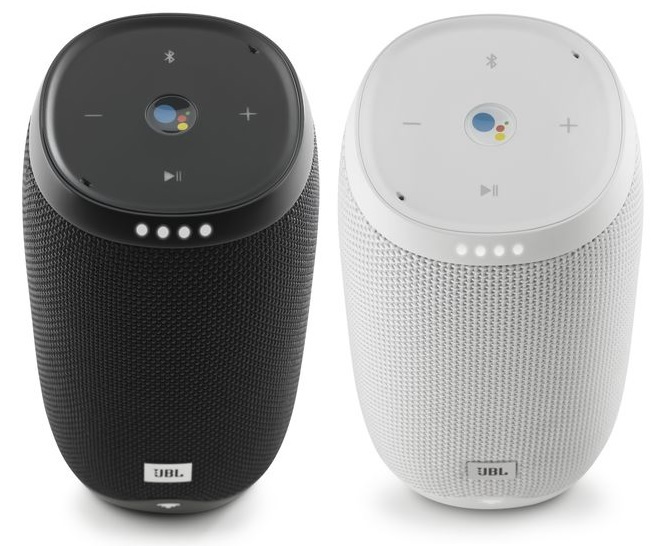 Of course, this isn’t an actual Google Home but more so a collaboration between JBL and Google to make the Link 10 compatible with the Google Home app. With that being said, this still makes it ‘essentially’ the same thing as a Home since all of the features we love with the Home is included. These include discover features, browse music, TV shoes, and movies, control your music with pause, play or volume change, switch between default music providers, link compatible devices, control smart lights and thermostats, and more. You can access apps like Google Play Music, Spotify, Pandora, etc. There’s also Chromecast built-in (this thing is decked out with Google stuff all for about $20 more bucks) if you want to sync this with your TV and control your apps, movies and more with the speaker. Using Google Assistant, you’ll be attaining that traditional “OK Google, [insert command here]” we’ve all seen in those commercials or for those of you have actually used Google Home, know exactly what that is (if you do already have Google Home, the Link 10 may not be worth it — perhaps for a more powerful speaker? More portable, waterproof device? We’re not sure why unless you want a small upgrade). Speaking of waterproof, the Link 10 is also IPX7 water-resistant, so feel free to take this wherever you go — the pool, beach, near the shower (we wouldn’t recommend in just to be safe, and more). 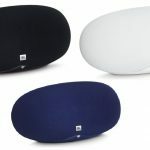 Every side of the JBL Link 10 (Source: JBL.com). 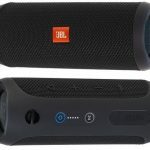 In terms of specs and exact numbers of the JBL Link 10, you’ve got a 4000mAh standard rechargeable Li-ion battery (takes about 4 hours to charge for about 5 hours of music playing time, although that will ultimately depend on the volume you play it at). The volume and power of this is standard and for the price, gets the job done (definitely more powerful and suitable for music-playing than the original Google Home). 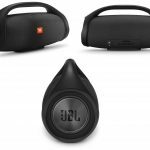 The Bluetooth version here is 4.2 and stays up to date, while the frequency response is standard for a normal Bluetooth speaker at 65Hz–20kHz. As stated previously with the overall power and audio quality, you have two 8V little amps in there. Considering the shape of this thing, we feel it is ideal for portability (we like the more slender and standing portable speakers instead of the rectangle blocks since it can fit in more versatile places, although we do know others who’d like to set this thing on the side — which you can still do, however some of the speaker will be covered and take away some of the power). Is it worth it? Our verdict: Yes! However, only if you’re into voice-activation. All in all, with a great combination of decent playing time, waterproof resistance, Bluetooth wireless playing and of course, Google Home and Assistant compatibility, this is an awesome product if you don’t have Google Home yet and want to spend some more money on a higher quality speaker that’s geared towards overall power and ruggedness (and protection, of course). If you want even more power and longer playing time, read our JBL Link 20 review for the model just above this one for a few extra bucks ($50 retail depending where you look) — you get about the double the play time, some more power, and slightly better audio quality. A con some may say is the fact that you won’t be able to use the Link 10 with Google Assistant if you’re out of range with your Wi-Fi (yes, you need Wi-Fi to use it, so being on a beach or while hiking outdoors may be tough — however, you can always create a hotspot with your phone. Keep in mind that will actually take having service, so if you don’t have any bars up there, you’re out of luck). Also don’t forget, as with anything voice related and search-based, keep in mind your data and history will be accessible to anybody using the speaker. If you’re going to be doing something privately, don’t use it. And no, it doesn’t record conversations! 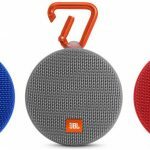 Is the JBL Link 10 voice activated speaker worth it? Yes, only if you’re using the voice-activation and Google compatible services. And we only recommend thinking that you actually will use the voice-activation if you’ve used it before. If you’re just starting out with voice-activated products, we recommend trying something cheaper to make sure before you buy a $150 retail speaker. 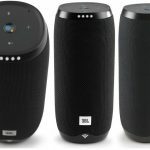 If you are indeed planning on using the JBL Link 10 for only listening to music and perhaps messing around with Google Home, you can always check out our best portable speakers guide to find a cheaper solution. 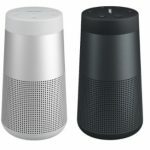 Otherwise, for those all-in on voice-activation, this is an amazing product that gives us a nice mixture of wireless Bluetooth music listening, waterproof capability, as well as various Google service and app compatibility for a nice combo and well worth the cash if these features peak your interest.